From the word 'Go'- this book made me wonder what was the very point of writing it. Only after I managed to read into it a bit more that I realized what it was all about. 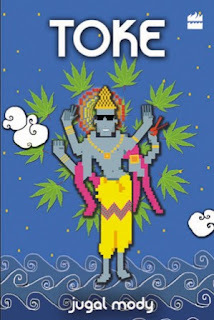 It's about going on a secret mission under the guidance of the very Preserver in Hindu Mythology. It is about saving the world turning into zombies who try to convert others by putting maggots in their food. I feel that at times, the author has just dragged it on to increase the number of pages. Although the protagonists are mostly stoned, it might make you remember the anti-hero style of J.D.Salinger's The Catcher in the Rye. 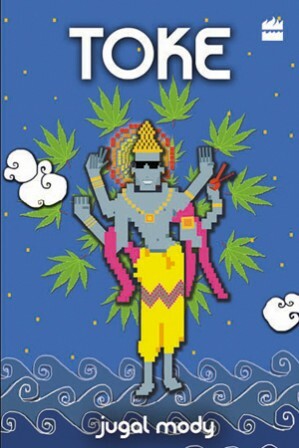 I wouldn't go as far as comparing Toke to such a classic, but you get the idea. All in all, it's a good read, considering how considerate you are towards the author. As one of the other reviews that I read mentioned, it should not have been a paperback novel, but a comic strip or a graphic novel, considering the very graphic pictures that the author tries to paint. Beware of the maggots in the pizza that you are gonna bite, though.